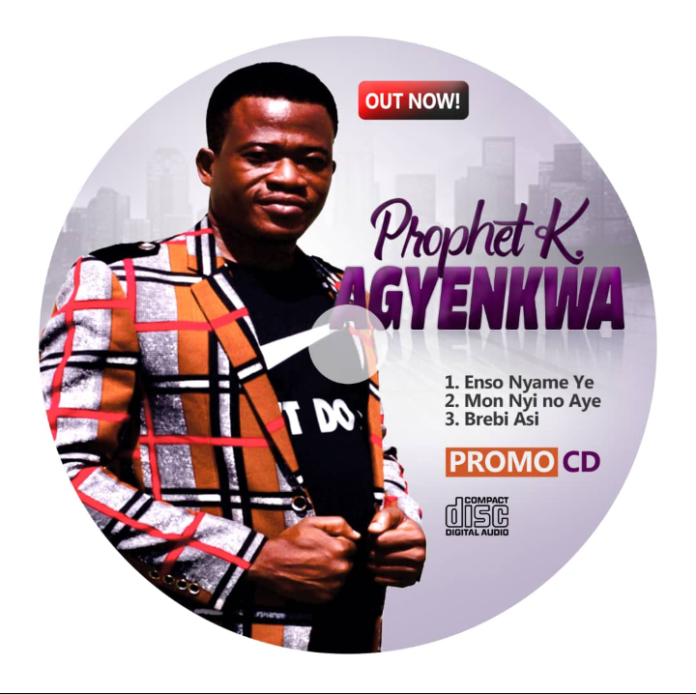 A servant of the gospel, Prophet Daniel Kojo Agyenkwa, is set to release his 3-track gospel album. Prophet Agyenkwa, who is the founder and leader of the Christ the Healer Church, told rainbowradioonline.com that the tracks on the album were based on a direction and inspiration from God. The tracks namely ‘Enso Nyame Ye’ ( With God all things are possible, ‘Mon Ye Na Ye'(Praise God) and ‘Brebi Asi’ he noted we’re all inspired by God. The songs he explained would give Christians and other persons an opportunity, to appreciate the loving kindness of God and be assured of his continuous blessings. Prophet Agyenkwa said gospel songs must be inspired by the word of God so listeners would benefit from them abundantly. He challenged gospel musicians to seek the face of God in any challenge that may come their way because he (God), is the only one who is able to bless without any conditions attached. The launch is set to come off on May 30, 2019, at the Christ the Healer Ministry at Adukurom Aperide in the Eastern Region. He encouraged the public to come in their numbers and support the work of God.